At the end of the `80’s, former professional Bayern Munich footballer, Bobby Dekeyser, decided to develop high quality outdoor furniture that could stand up to wind and weather. He used his family´s know-how, they had owned a plastics manufacturing plant for decades, to develop a new, uniquely sturdy synthetic fibre. This was the cornerstone of DEDON furniture. 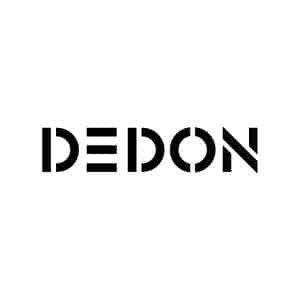 In 1990 Bobby Dekeyser founded DEDON and registered this unique fibre as an international trademark. The beginning of an unparalleled success story. The basis for this success is a highly durable synthetic fiber called HULARO, which is produced at the company’s North German headquarters in Luneburg. Its properties are further developed in the company’s own labs under constant monitoring; a total of more than 100 technicians work in our development department. They create new mixtures to produce the colors and visual effects desired for specific furniture and fiber designs. Developed over 16 years ago, the unique synthetic fiber is still considered “the original” in the industry – the “Made by DEDON” seal represents the highest standard in quality and design: the fiber is washable, extremely easy to maintain, resists saltwater, sunlight, and high and low temperatures, and additionally is an environmentally friendly material. The award-winning DEDON collections are completely handcrafted in DEDON’s own manufacturing facility on the Philippine island of Cebu – a Mecca for the traditional art of handweaving. Each article is a one-of-a-kind piece of hand-woven furniture. Weavers work more than two weeks long on some pieces. The result: a work of art that combines highly modern technology from Germany with the traditional experience of the handcrafters on Cebu. More than 3,000 people now work with us in accordance with a philosophy that company founder Bobby Dekeyser passionately believes in: Only a satisfied employee can invent a comfortable chair. A standard that naturally applies for the team in Cebu as well; DEDON guarantees them socially responsible standards and also supports charity projects. NEED MORE DEDON INFORMATION ?